In a highly talked about year for the genre as a whole, here are the best horror movies of 2017. Horror movies will always be popular because nothing is more exciting to see in the theatre then a creepy film that has you on the edge of your seat. A well-executed horror film is not easy to pull off, it takes a subtle hand who really knows when to go for it and when to hang back and build tension, and for this reason there is no shortage of terrible ones. However, we're talking about the best horror movies of 2017, and this year there were some truly special ones. From a highly anticipated debut feature from Jordan Peele to several adaptations of horror master Stephen King's work, this year was a great one for horror freaks. See the favorites that made the cut below. M. Night Shyamalan tends to divide people, as most of his films are either loved or loathed. This year he was more on the loved side, as Split is easily one of the best horror films of 2017, and his most exciting work in years. James McAvoy stars as a man with 23 personalities, and if you haven't already guessed one of those personalities is that of a sadistic maniac. McAvoy's performance is the best part of the movie and it delivers some pretty consistent scares. This is M. Night Shyamalan so yes there are a few twists, but fortunately for Split, they all deliver. Not just one of the best horror movies of 2017, Get Out is one of the year's best in any genre. Jordan Peele's directorial debut brings plenty of terrifying moments to the screen, while also tackling some complex social issues that are rarely spoken about. The film centers around a young black man who is going to meet the progressive parents of his white girlfriend—and things get weird. He starts noticing some odd and increasingly sinister things as the movie moves toward its shocking conclusion. With plenty of laughs mixed in, Get Out is simply one of the years most satisfying films. Gerald's Game is an adaptation of one of Stephen King's more unheralded novels, and thanks to a mesmerizing performance by Carla Gugino, it's one of the best horror movie of 2017. It's a simple story about a couple looking to spice their love life up at their lake house by trying some handcuffs, but when her husband dies in the act she's trapped to the bed post. The horrors the woman has to deal with on her own, trapped in a lonely cabin (with her husband dead next to her), leads to some truly terrifying moments. Featuring a powerhouse cast that includes Jennifer Lawrence and Javier Bardem, Mother! is a paranoia inducing thriller directed by the great Darren Aronofsky (Black Swan, Requiem for a Dream, The Wrestler). It all starts when a couple invites a stranger into their house and it messes with the homes balance. As weird as it is scary, Mother! makes the list of the best horror movie of 2017 because of the scale of its artistic ambition. 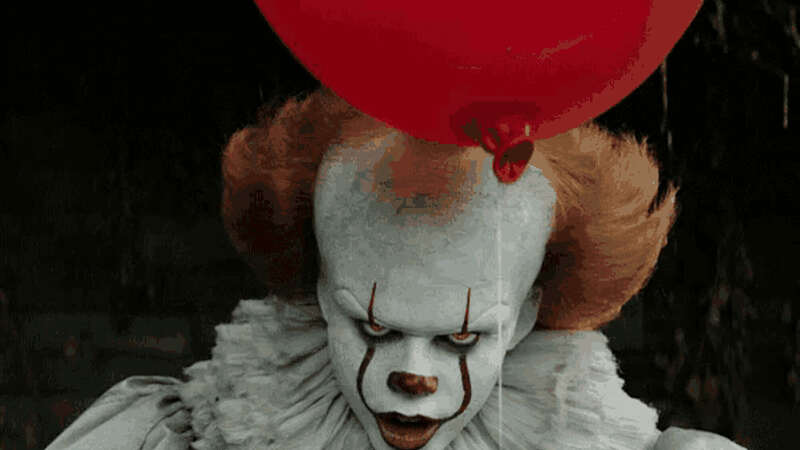 IT is one of Stephen King's most beloved novels, and it murdered at the box office, becoming the highest grossing horror movie of all time, a must on any list of the best horror movies of 2017. Both a horror and coming-of-age film, IT is about the children of a small town in Maine who come face to face with their worst fears: Pennywise. Pennywise delivers plenty of creepy scares, and the child actors all deliver incredibly well. IT was an all around massive success, a bit surprising given the size (over 1,000 pages) and scope of King's novel. The Devil's Candy is about a family who move into a house that's possessed by a mysterious dark force the family must fight to save their eternal souls. In addition, the home's former owner will not leave them be, and he is constantly stalking around the premises. Both a haunted house story and psycho cult story, The Devil's Candy is one of the best horror films of 2017, and it has the scares to back that up. The terrifying performance by Ethan Embry by far the films most haunting part. Creep 2 is about a video artist who is looking for an interesting subject, and she finds when after she hears about a strange man hanging out deep in the remote woods. The man (Mark Duplass) is a quietly disturbed maniac who claims to be a serial killer. Is he? After agreeing to spend the day with him she slowly realizes she's made a grave error. The eerie pacing of the film makes it one of the best horror movies of 2017. Raw is a twisted horror flick about a young vegetarian who stumbles in with the wrong crowd and begins eating meat. However, soon enough that meat isn't enough for any of them and the cult like crowd gets into cannibalism. While it's somewhat of a dark coming-of-age story, one thing is for sure about the French import—it's unnerving. The arthouse terror flick is easily one of the best horror movies of 2017. Being deep in outer space and encountering a strange life force is a well-tread subject, but Life is done so well and boasts a stellar cast that none of that matters. Six scientists are trapped at a space station and encounter a rapidly evolving life form that caused extinction on Mars. If they can't somehow put a stop to it, it will threaten all life on Earth. The scariest part, and something that makes it one of the best horror movies of 2017, is the fact that the mysterious organism seems to be getting smarter. It's a bit of a Alien/The Thing hybrid, which is mostly a good thing. Let's round out the best horror movies of 2017 with another King adaptation, as he really was everywhere this year. 1922 is about a farmer who conspires to murder his wife for financial gain, convincing his teenage son to participate in the process. Based on the Stephen King novella of the same name, it centers around Wilfred James, who is a mostly proud farmer that wants his wife's inherited land. After he kills her, supernatural occurrences begin to haunt both him and his farm. Is it bad luck or something much darker? Check out 1922 on Netflix to find out.